Size: (STD) is currently out of stock! Size: (XL) is currently out of stock! Hit the streets and ensure the safety of the public thanks to an official looking police officer that will leave all of your friends and family resting just a bit easier. 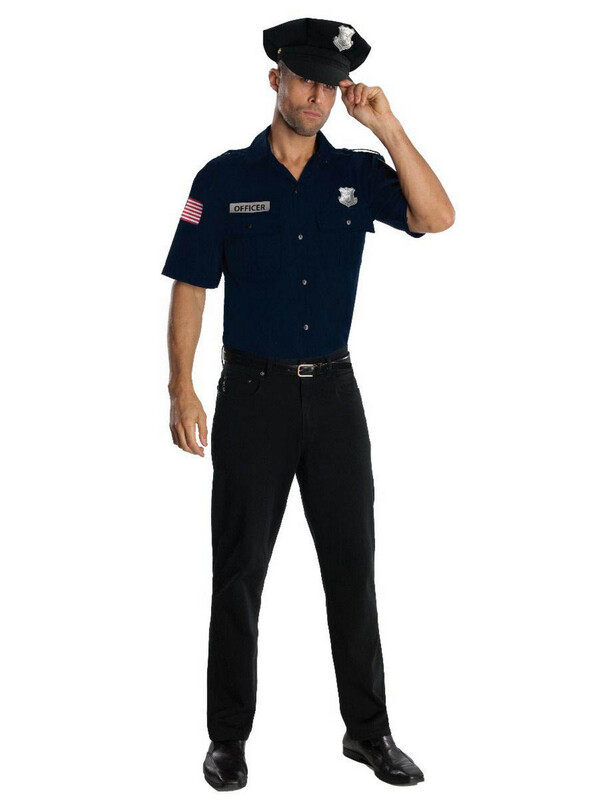 The Blue Police Officer Costume features a dark blue top with badge and cop hat for a complete set that will have you looking like you just stepped out of the station. Accessorize by picking up police props and make sure you’re ready for the unexpected.